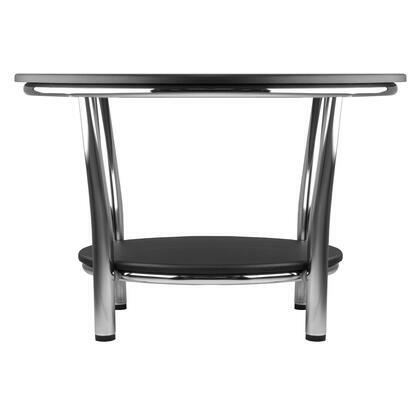 Maya Table Collection offers the ultimate in contemporary d cor. 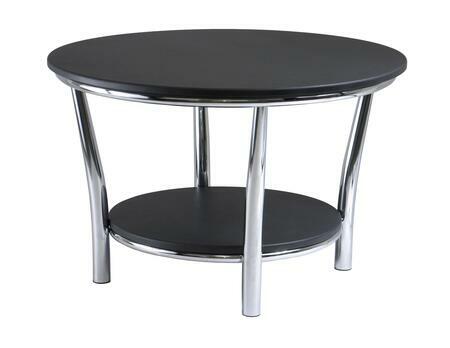 Round Coffee Table 29", A large round top and a shelf 19.60" Diameter below offer function and style. 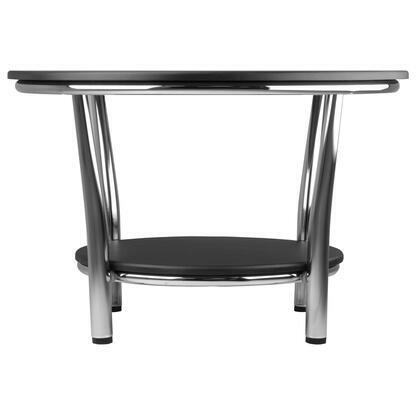 This accent table features a polished steel frame with MDF top and shelf. 12" Clearance from top to shelf. Ready to assemble. 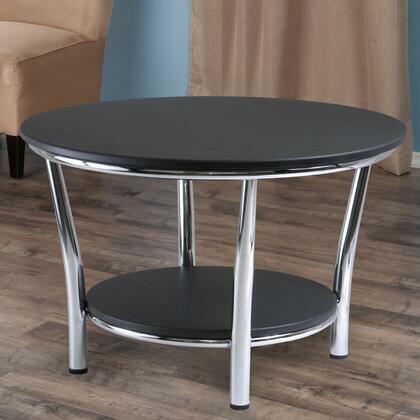 Round Coffee Table has 29.33" x 18.70" High. 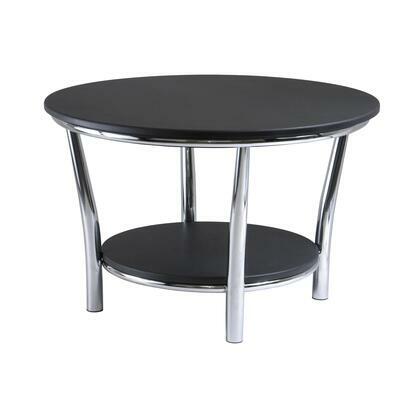 Bottom shelf of 19.60" diameter. 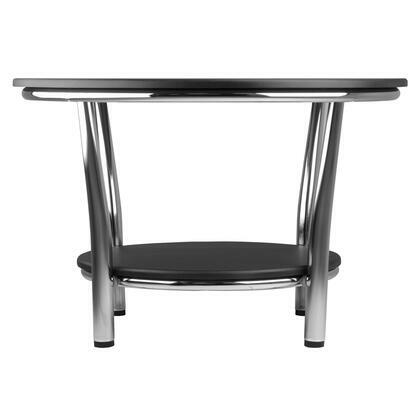 12" Clearance from Table top to shelf Chrome Metal Frame with Black MDF.